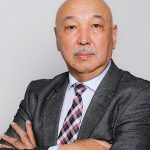 Rahat Sabyrbekov is PhD Candidate at School of Economics and Business at Norwegian University of Life Sciences and teacher at Economics Department of AUCA. He obtained his Master degree from University of Birmingham in the United Kingdom. Rahat serves as author for Intergovernmental Platform for Ecosystem Services and Biodiversity Assessment Report. Rahat’s research interests are in ecosystem services, natural capital and natural resource management. Akylai Muktarbek kyzy is PhD Candidate at School of Economics and Business at Norwegian University of Life Sciences. She holds an MA in Economics from Central European University in Budapest. She serves as a consultant at the Economic Research Center of the National Bank of the Kyrgyz Republic. Akylai’s research areas are economics of development and impact assessment. 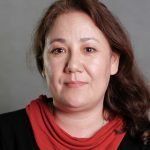 Gulnara Nurieva is Assistant Professor at Economics Department of AUCA. She holds Masters degree in Economics from Moscow State Academy. Gulnara has extensive experience in teaching and research projects. Her research interests include natural resource management and environment. Mairambek holds PhD in Economics from Justus-Liebig-University Giessen, Germany in 2010. He received his M.A. in Economics from Kyrgyz Agrarian University. 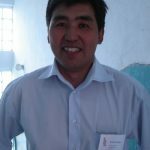 He currently teaches at Kyrgyz Agrarian University. His main research interests are agricultural credit and rural development. Mairmanbek teaches at the Environmental Management and Sustainable Program of AUCA. Nurgul earned her Ph.D. degree in Economics from Duke University, USA. She received her M.A. in Economics from Duke University and Temple University, USA. Nurgul’s fields of specialization are Development Economics, International Economics, Economics Growth. Her recent research focuses on implications of labor migration, migration of highly skilled workers and remittances for developing countries. She also studies gender wage differences and determinants of female labor supply and self-employment in Central Asia. 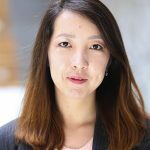 Nurgul has consultancy work experience within research projects organized by International Monetary Fund, European Commission’s TACIS Programme, UK’s Department for International Development, Asian Development Bank, United Nations Development Programme, and UN Women. 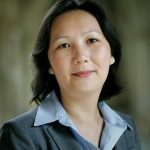 She is a recipient of Internal Monetary Fund’s Scholarship for Advanced Studies, CERGE-EI Foundation Fellowship, Open Society Institute’s Returning Academic Scholar Fellowship, Duke University’s Graduate School Fellowships, Edmund Muskie Graduate Fellowship, OSCE Academy’s Teaching and Research Fellowship. Ulan holds a PhD in Agricultural Economics from Humboldt-Universität zu Berlin. Currently he works as a Post-Doctoral Researcher at the Resource Economics Group, Humboldt-Universität zu Berlin and teaches at the Economics Department of AUCA. Ulan’s main interest lies in the fields of institutional economics, environmental governance and rural development. 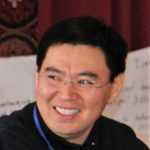 His recent research focuses on transformation in climate-sensitive land management and institutional change in Central Asia. 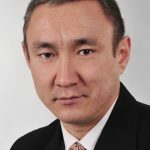 Zarylbek Kudabaev’s is well-established Professor at AUCA with long teaching and research track. Prof. Kudabaev has led many research project including large international programs and contributed to many national policy initiatives. He is often invited by the Kyrgyz Government to consult or advise on the economic issues or policy initiatives. Prof. Kudabaev’s research interests are poverty and development, sustainable economic growth.